South Carolina is by far one of the most conservative states in the US when it comes to gambling, coming in second to the state of Utah. There are only two forms of state approved gambling formats available in South Carolina: charitable bingo and raffles and the state lottery. Even social games, such as home poker games, are illegal in the Palmetto State. We would have to say that South Carolina is probably not the prime location for anyone seeking even a decent range of state sanctioned gambling entertainment. With so few options concerning regulated gambling entertainment in the state, why did we even bother creating a resource guide for this state? The primary reason we still considered it worth our time and effort to navigate the gambling legalities in South Carolina is because there are legal gaming options that many citizens or visitors to the state may not be aware of. We want to provide everything possible to support players in making informed decisions regarding their involvement in gambling opportunities. The following information is a look at the legal status of gambling in South Carolina, covering both land based brick and mortar options as well as legally licensed online gambling opportunities. We provide insight based on our extensive experience in the gambling industry as professional analysts. Please do not mistake our input regarding legal state gambling as a substitution for professional legal advice or services. We are not attorneys and are not qualified or licensed to provide any type of professional legal service. We are however experience gambling professionals with a combined range of experience that spans decades. The Code of Laws in South Carolina does not address online gambling from an operator or player standpoint. This means that South Carolina has not taken any steps to legalize state licensed online gambling in any form, which makes it illegal for anyone to own or operate an online gambling site within SC borders. However, there is more to the story here. The state’s laws also do not prohibit anyone form enjoying legally sanctioned online gambling that is provided by a licensed, regulated and certified online gambling business that is located outside of the United States. Offshore gambling sites that are licensed and regulated by a respected governing jurisdiction can legally offer their services to players in the US because they operate within a region that has expressly legalized online gambling already. There are no provisions contained with the state laws or US federal gambling laws that legally prevent players in SC from enjoying online gambling at legitimately licensed and regulated South Carolina friendly Internet gambling sites. Is Online Gambling Legal In South Carolina? Online gambling is considered legal in South Carolina due to the fact that there simply aren't any laws that prohibit players from gambling online in the state. As a matter of fact, SC doesn't even mention online gambling at all in their gambling statutes. We are not lawyers, but we know you can't get charged with a crime for a law that doesn't exist. As mentioned above, SC doesn't offer any state regulated online gambling options yet. And until they offer legal online gambling like several other states, the only choice South Carolina residents currently is to play with an offshore site. One particular site (Bovada) is a household name for US players. They are the largest and most trusted offshore gambling site and for good reason. 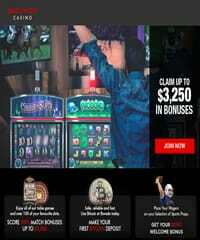 They've never missed a payout and offer everything players could want all under 1 roof including real money casino games, sports betting, horse betting and more. Is Playing Online Casinos For Real Money Legal For South Carolina Residents? Neither brick and mortar nor state based online casinos are legal in South Carolina. Gambling cruises are as close as the state’s players can come to any state regulated casino options. Thankfully, South Carolina players have some alternatives available to them. There are a number of legitimate online casinos that are legally licensed, certified and regulated outside of the United States. By visiting legally sanctioned offshore online casinos, players from SC can enjoy a secure, high quality online casino experience without violating any state or federal gambling laws. 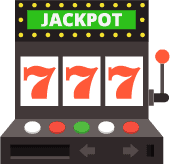 The key element here is to ensure you only visit online casinos that are operating legally within the industry and that hold the proper credentials. We also require that any casinos we recommend in this guide also utilize state of the art security protocols and deliver a premium gaming performance. US federal laws effectively prevent South Carolina from initiating any type of state sanctioned sports betting options, either online or offline. As with casino and poker gambling, offshore online sportsbooks that are licensed and regulated are viable options for South Carolina residents seeking legally sanctioned sportbook gambling entertainment. The sportsbooks listed on this page are all legitimately licensed and regulated, and all of them accept players from South Carolina. US bettors, including those living in or visiting SC can legally engage in online sports betting at these sites without fear of breaking any state or federal laws. Is Online Poker Legal in SC? Since is it not legal to own or operate an online gambling site within South Carolina’s borders, there are not any state licensed online poker sites. Poker players in the Palmetto State do have access to some industry leading offshore poker sites that accept players from South Carolina. Our team of industry professionals has reviewed all the poker rooms that we have featured in this guide. They are each verified to be legally licensed, compliance certified and regulated. We also evaluated the quality of their software solution, user interface and performance. What Is The Legal Gambling Age in South Carolina? The minimum legal gambling age in South Carolina varies depending on which type of betting is taking place. Lottery and charitable gambling games require players to be at least 18 years of age in order to participate. The gambling cruises require that players are at least 21 years of age in order to participate. Players may engage in online bingo gaming at age 18. We aren't quite sure if online gambling minimum age requirements correlate with the state’s age requirements. We are not lawyers and recommend any player concerned about breaking any laws to consult a gaming attorney. Most online gambling sites accept players 18 years old and up. Is South Carolina Going To Legalize Online Gambling In The Future? Despite South Carolina’s ultra conservative stance concerning gambling, there is always a chance that the state could recognize the potential revenue stream that could be brought in through a regulated online gambling initiative. Their openness to DFS betting may be an indication that they are warming up to the concept on some level. We suspect that as more regions join the state regulated online gambling trend, that SC may actually become swept up in the momentum and then consider the concept in their own state. While we recognize this possibility, we don’t think it will be anytime very soon. Will I Get In Trouble For Gambling Online In South Carolina? We admit that the state of South Carolina does not allow much when it comes to regulated gambling entertainment. They have prohibited most forms of gambling, and have not made even a nod in the direction of legalizing state licensed online gambling yet. However, they have not made any moves to prohibit access to legally licensed offshore gambling sites. There are absolutely no provision in the state’s Code of Laws that prevents SC players from enjoying legitimate internet betting as long as it is based outside of the USA. This being the case, you will not get into legal trouble for engaging in online gambling as long as you restrict your betting action to only those destinations that are operating legally within the industry. Can I Participate In Real Money Gambling From Other States Which Have Legalized Online Gambling? No. The 4 states which offer state regulated online gambling options have very stringent rules requiring all players to reside within the states borders. Is It Safe To Gamble Online From South Carolina? As long as you join and play with the most reputable sites in the industry such as those we recommend, then it's absolutely safe to gamble online. But there are a lot of rogue sites that exist simply to prey on unsuspecting players and steal their private and personal information. So a little due diligence and common sense goes a long way in keeping your gambling excursions safe.